Splitting and stacking firewood may not be something you give much thought to. Typically it is something that is taken care of for you and you get to enjoy the firewood! We love this part of our job! It is the behind the scenes physical work that help us deliver a great and reliable product to you. 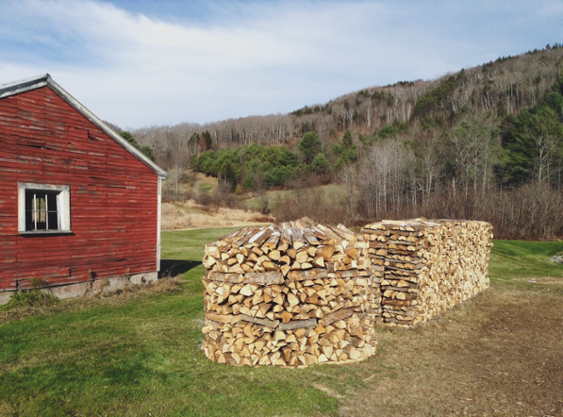 Believe it or not, there is a science behind stacking and splitting firewood. Before splitting and stacking, we have to harvest the wood. We never cut live, green trees. We practice sustainable harvesting by harvesting dead trees. Once these trees are harvested, we split them into 16 to 18 inch logs, great for both cooking or the fireplace. The diameter of these logs vary depending on size. Once the trees are split into logs, it is time to stack them for seasoning. 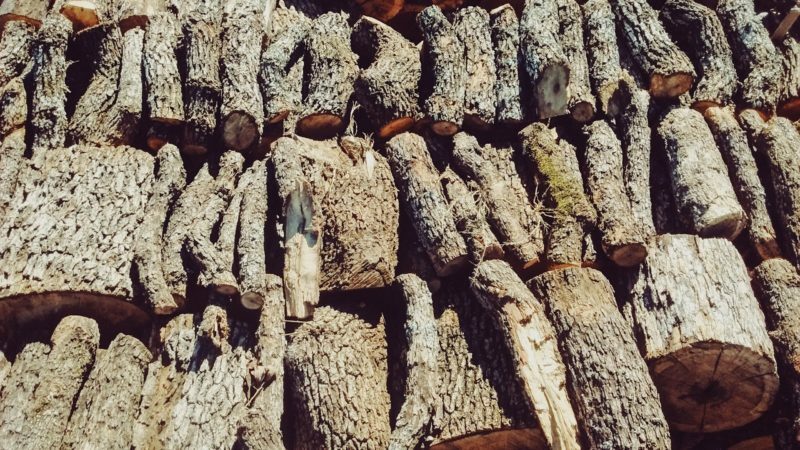 Why do we season our firewood? Seasoning is the process of removing moisture for ease of burning. It is important to season your firewood so it can easily catch flame and prepare for cooking or heating the home. Unseasoned firewood, also known as green wood, still has a lot of moisture and will just produce a lot of smoke instead of catching fire. How do you season firewood? By leaving your firewood in the elements for six or more months, you allow the moisture to dry out leaving you with seasoned firewood. You cannot leave the wood in a heap pile during this process. That would allow the would to soak up rainwater and turn into a rotting, smelly mess. That is when the science of stacking the wood comes into play. The stack has two sides that support the stack, like bookends. We stack two logs parallel with a perpendicular set on top and repeat until we have hit about one dozen levels. This process is also known as creating pigpens. Once these are set, you can start stacking logs in between. Try not to stack one on top of the other. This will not allow for proper air flow, preventing the wood from seasoning. Stack the logs two over one and one over two, creating pockets for air to flow through. The bark side should always face up to prevent water from entering the grain and shedding into the pile. You want the moisture to leave, not remain. This is also the reason you do not want to stack the wood too tight, it won’t have any room to breathe or release the moisture. While this is one way to stack and achieve seasoning, there are a few other ways that can achieve the same goals. The hammock span is another successful way to stack and season firewood. It is similar to the most common way to stack except the bookends are trees and not parallel, perpendicular stacks. In fact, that is the only difference. The logs will be stacked the same in between the trees and the trees will support the weight of the stack, keeping it up right so air can flow through as it seasons. The most traditional way to stack firewood is the holzhausen way. This traditional, German way to stack firewood can stack about two to two and a half cords at one time to season. It is circular in shape with a stake in the middle for support. There are support stacks throughout to hold the wood stacked all around. Some people use irregular pieces as a “roof” to prevent moisture from ruining the stack. No matter which style is used to season, what matters the most is that there is air flow and proper exposure to the elements for the best seasoning and that the stacks of wood are left to season for six or more months. Some people prefer to place stacks on concrete, cinder blocks, or plywood. Other individuals choose to use a firewood rack.However, you can choose to stack straight on the ground and still get amazing results. Once the wood is seasoned, it is time for delivery! If you have a rack, we will stack directly on there. If you do not have a rack, we have plenty to choose from, check them out. Some firewood racks, like this one, come with covers to prevent the wood from getting wet before use. We can assemble the rack you order from us during your firewood delivery. 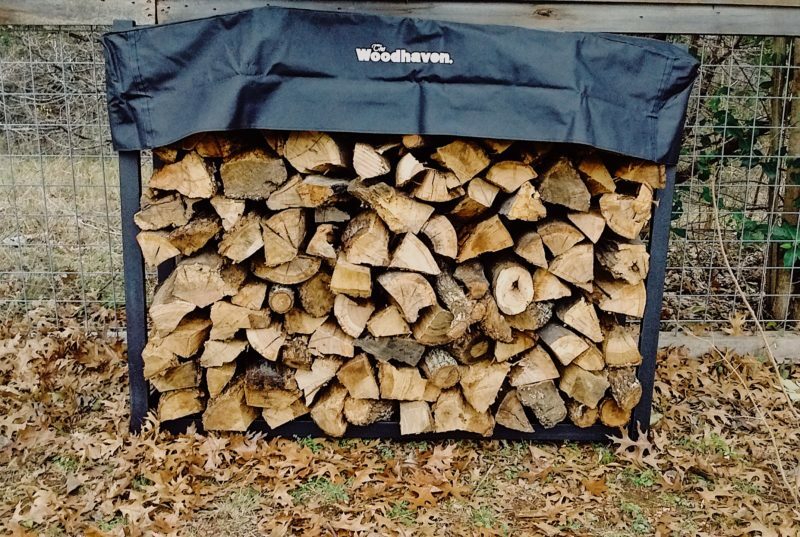 If you do not have or need a rack, just make sure that space can remain dry until you are ready to use the firewood. This may be something you would be interested in if you do not have a dry space for storing.You can place your order here. 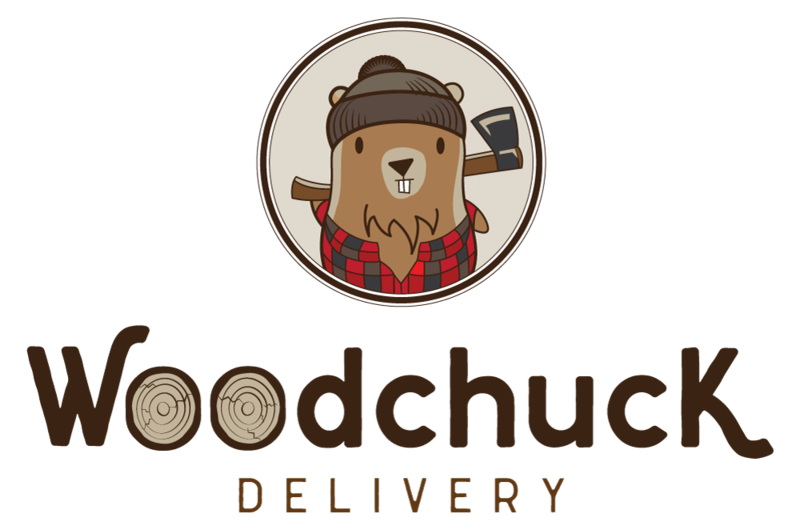 Once your order is placed, your seasoned firewood will be delivered in two to four business days (5 – 10 business days during the busy season). When we deliver your firewood, we stack it again in the spot you have designated for it. 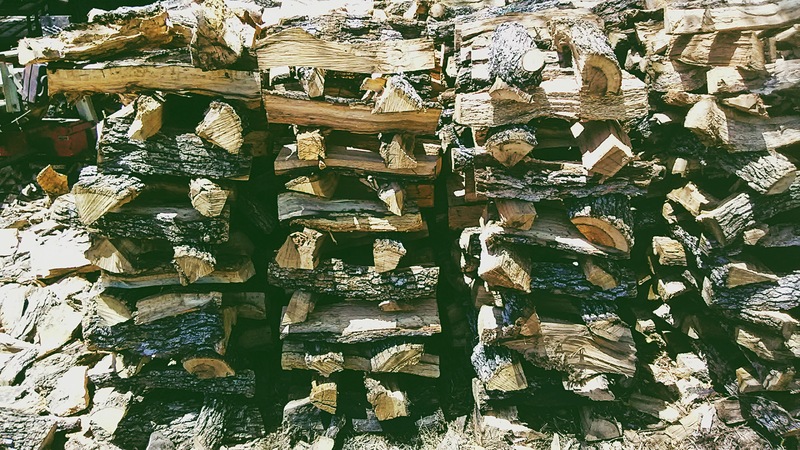 Once your firewood is delivered, stacked and stored, it is up to you when it is used. You can place an order of firewood to use for a big family cookout this weekend, or you can place an order for your winter stash in advance and store it until it, finally, gets cold enough in Texas to get the fireplace going! We take care of the splitting, stacking and seasoning, so all you have to worry about is when you’re going to use the firewood. We love taking care of these things for y’all! Customers that are happy with their five star product is always our goal!